Ingesea designs, developes and incorporates solutions for automation of industrial work processes. INGESEA is a young and dynamic company formed by technicians with extensive experience in design, development and engineering solutions in the world of industrial processes. Many of our technicians come from the world of automotive manufacturing machines, one of the most demanding and committed to quality. 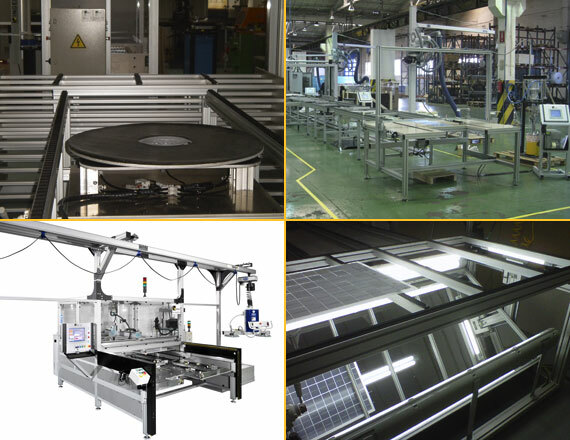 We have extensive experience from the late 90′s in the world of design and integration of machinery for the production of solar photovoltaic modules. We participated in the creation of new photovoltaic module and solar thermal collector manufacturing companies from the beginning, offering our expertise and collaborating with them in the definition of the production line and final product. INGESEA offers customized solutions and turnkey automation of industrial processes. We offer studies and testing of energy efficiency, solar thermal collectors and photovoltaic panels providing solutions to ensure their homologation and turnkey projects for manufacturing. INGESEA is involved in the entire value chain in the development of equipment and systems, from the initial definition of the solution through the mechanical design, programming and finishing with quality control.